I was over at The Dupe’s house a few nights ago and saw this when I was leaving. 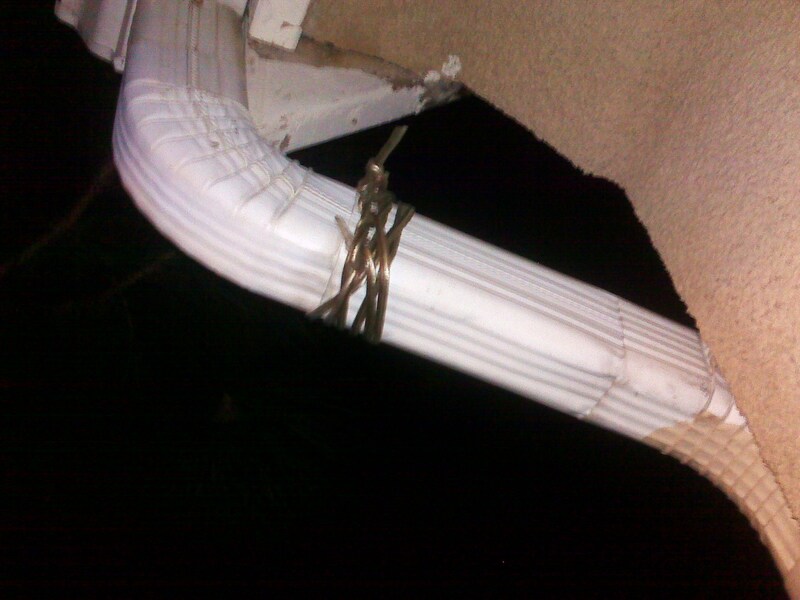 That’s a speaker wire gutter repair! If you look really close, you can make out some tape or something under the wire. I figure the tape is there to stop the water from leaking and the speaker wire is there to hold the pieces of the gutter together. The horrible paint job really ties it all together. 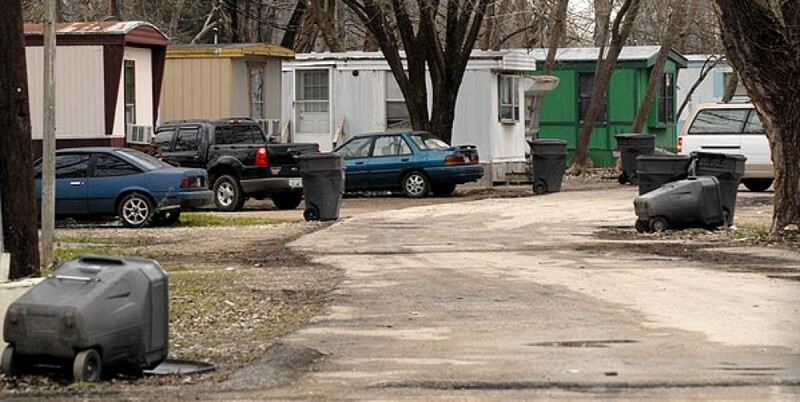 Apartment Maintenance Guy: Your Trailer Park Is Showing! This was originally the song Rock Lobster by the B-52’s. Peter from Family Guy played an adaptation of the original in one episode a while back. Here it is again with a turban and beard, reincarnated as Iraq Lobster! I first saw Red Green on a public TV station while they were doing one of their many fund-raisers. You can’t get more trailer park and redneck than duck tape! The Ten Commandments translated into the Redneck Ten Commandments. Fairly accurate translation.